The grain-fed veal and milk-fed veal sectors were the first cattle industries to establish a promotion fund as far back as 1983. Quebec milk-fed veal is occupying more and more space on meat counters of supermarkets and independent butcher shops. Milk-fed veal is known for its tenderness and refinement. 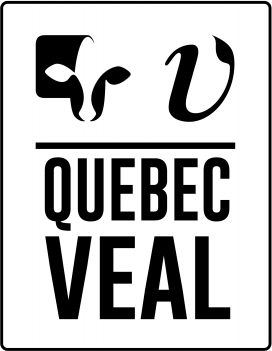 Quebec milk-fed veal is a meat sought-after by consumers who are looking for a quality product for a good meal and for the pleasure of eating well. For delicious recipes or for 1001 tricks and advices on Milk-Fed Veal, consult milkfedveal.com or our facebook page.